In case you have been stopped on the side of the road for a long period of time – and what trucker hasn’t been lately with the ELD mandate altering routines – and haven’t seen the news, today kicks off the annual CVSA Roadcheck 2018 inspection blitz. Last year, just over 62,000 inspections were conducted during the 72-hour enforcement period, with 19.4% of vehicles taken out of service. Each year Roadcheck hones in on one area for particular attention, and this year it is hours-of-service compliance. Of course, with the majority of the inspections being Level 1 inspections, HOS will not be the only area of concern for drivers. Brakes and lighting are among the most frequent violations during any roadside inspection, and they will be things inspectors will be looking for this year as well. Unless you are one of the many drivers who have proclaimed the next three days as vacation days, there is a good chance you will run into an inspection somewhere. If so, will you be prepared? A lost day can add up quickly for truckers in terms of lost wages and even lost business due to a late delivery or pickup. Making sure your Roadcheck 2018 inspection runs smoothly starts this year with following hours-of-service rules. This should go without explanation, but a violation will result in an extended stay at the side of the road. Going along with this is making sure your ELD device is functioning properly – and if it isn’t, have you followed the procedures and reported the malfunctioning device to FMCSA? – and that you meet the other requirements of the ELD rule. These include keeping a copy of the user manual and instruction sheet in the cab as well as a supply of blank Records of Duty status sheets in case the device malfunctions. 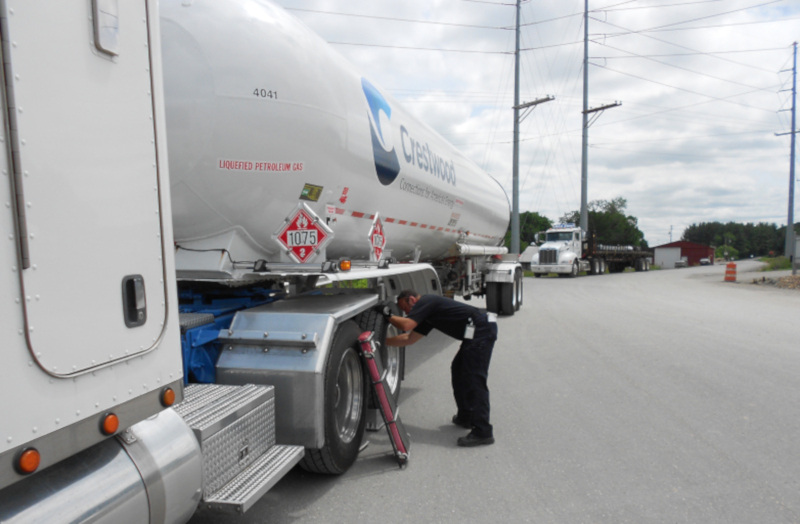 Beyond meeting the HOS and ELD requirements, the key to passing roadside inspections begins with conducting proper pre-trip inspections. In 2016, the blog Smart-Trucking.com posted a detailed, step-by-step approach to conducting a proper pre-trip inspection. There are plenty of resources available on how to conduct a pre-trip inspection (Schneider National has a detailed listing here), although all truckers should know this already. But, as we all know, there are plenty of drivers out there who cut corners when it comes to this level of detail, and those will most likely be the ones sitting on the side of the road with out-of-service violations. There is another benefit to performing proper pre-trip inspections before you start your day and that is a maintenance benefit. Proper pre-trips can identify potential problems, fluid leaks and unusually tire wear that can ward off bigger problems should these issues not be corrected. According to best practices, pre-trips should include under the hood inspections of the engine, hoses, wiring and more, and outside inspections should include tires and tread depth, brakes and brake drums, and tire pressure. These are just a few of the basics that need to be covered in a pre-trip, but can go a long way to avoiding unnecessary downtime for repairs, or out-of-service orders from roadside inspections such as Roadcheck.